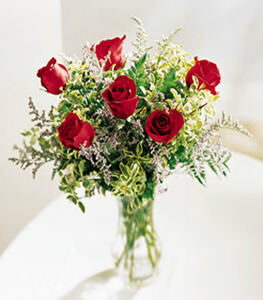 In Greek mythology red roses were a symbol of the Goddess of Love, signifying burgeoning passion and deep love. Relish this exhilarating moment. Six red roses with limonium in a glass cylinder vase.